Iceland is not a cheap country. In fact, it ranks 14th of the 141 most expensive countries in the world according to Business Insider based off the Travel and Tourism Competitiveness Report from the World Economic Forum (article published May 2015). So how can you holiday in Iceland while not blowing your budget or all the money in your bank account? Food in restaurants is incredibly expensive with meals usually costing a party of 2 with no drinks at least $50 or more. Consider shopping at grocery stores to offset some of this expense. Two of us ate three days worth of basic but healthy meals on groceries from the Bonus supermarket for $40. Breakfast and lunches are easy meals to make on your own. If you stay in accommodations with access to a kitchen, you can cook in the evenings as well. Liquor can be quite pricey in Iceland. Before you leave the airport at Keflavik, there’s an opportunity to buy alcohol at lower prices than in Iceland’s liquor stores. If you enjoy a beer or two in the evening, consider grabbing a six-pack or bottle of wine as you depart and enjoy it in your accommodation after your meal. Travelling in winter isn’t for everyone but if you’re looking to travel to Iceland, consider going in their low season. Granted you’re less likely to camp (unless you really love winter camping), car rentals can be as much as 40% cheaper in the colder months. Accommodation is also cheaper (albeit still pricey). You might even be able to bargain with a company if you’re booking a variety of tours or several nights with them. 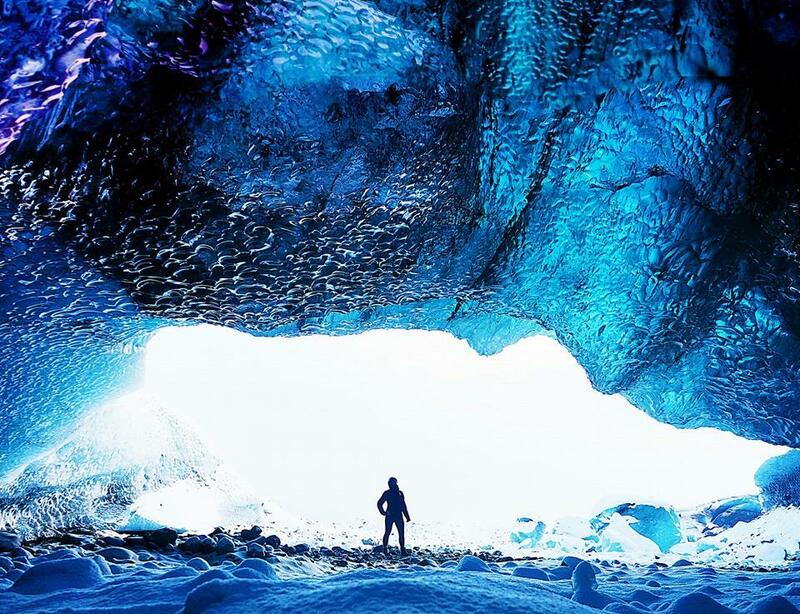 Winter travel also offers a very different perspective of the land of fire and ice. I was shocked at the expensive price tag of accommodation in Iceland. Usually I stay at hostels to cut my costs, but a dorm room of 10 people still cost $30 CAN a night (expensive for me as I tend to travel to cheaper destinations). A private double or twin room without bedding or a private bathroom in the same hostel was about $100. Sleeping isn’t cheap. If you usually opt for hotels, consider a few other options such as staying in hostels, using Air Bnb or if you love to meet locals, stay with them for free as a couchsurfer. Consider camping in the summer season while in Iceland. Iceland Air offers two checked bags of 23kg each so packing a tent and some camping supplies won’t be a problem. Camping is by far the cheapest – and arguably the best way – to experience the dramatic scenery of the country. When booking a car to travel Iceland, I found a coupon with SadCars that dropped the price of our 12 day rental by $300. There’s also a coupon book offered by Icelandic Coupons. Depending how you travel, the roughly $25 CAN fee for the booklet can pay itself off quickly. Many places with discounts in the booklet are for restaurants but do include a few tours. Although renting a car can be expensive, if there is two or more of you traveling together it can be cheaper than day tours. It allows you the freedom to go where you’d like, saves time repeatedly day-tripping out of Reykjavik and cuts the big fees of organized tours. Be aware that some activities do require guides or specialty vehicles with larger tires and 4×4 to get to certain destinations. A month in Iceland would be fantastic, but instead I chose to go for 18 days to cut my costs while in the country. Although it’s nice to spend more time in a country I had to be conscious of my budget and booked a trip according to what I could afford. I’d rather spend a little more each day on a shorter trip than feel money-stressed just because I chose to travel for more days. There are a lot of cool things to do in Iceland but doing them all would cost thousands of dollars. I made a list of things I wanted to do in a descending order. This helped me realize what was really important and what could wait for another trip or a cheaper destination. Diving the continental divide was a must-do but seeing orca’s in the ocean didn’t rank as high knowing I’d have an opportunity to see them at a later date in Patagonia, South America. You can even consider skipping the famous Blue Lagoon in favour of other geothermal bath sites. There are many to choose from throughout the country that cost considerably less than the Lagoon’s 40€ entrance fee. We patiently waited on booking our flights and ended up getting them for $140 less (for two of us). Deciding to fly out of a neighbouring city five hours away also saved us collectively $700 even after considering fuel and long-term parking. Our return flight out of Edmonton was $497. These tips won’t work for everyone’s lifestyle but one or two can save you a surprising amount of money. Also remember, it’s not always worth pinching pennies if it’s something you really want to do or it causes you to stress out. A holiday is meant to be fun so be willing and flexible to spend a little cash sometimes if looking for a particular experience. I’m not sure if I will be able to travel Iceland, but your travel guides are very inviting. Can you recommend a good city to stay there? I’m planning to visit from December 14-18th from Edmonton as well! Did you drive while you were in Iceland? How did you go through about booking the car? Im planning to do a solo trip so I’m a bit anxious about driving alone. Are there any sights in particular that you would recommend? Planning a trip for January and it has been interesting for sure lol but your advice has been helpful.. my question is what diving outfit did you use my girlfriend and I want to dive silfra I want to use good outfit but also try not to break the bank to much. Both diving companies in Iceland are very reputable. I went with scuba.is personally but I do have to admit, it won’t be cheap. I paid ~$500 CAD for my dive and each company is comparable. It was worth it because diving is my passion and Silfra had been on my bucket list for years but it was hard to drop that much cash on one dry-suit dive for 40 minutes! I’ve read mixed reviews on the Blue Lagoon, so I was wondering if you have any recommendations for other geothermal spas that may or may not possibly offer a massage or facials for my husband and I? I’m trying to mix in some relaxation time at a reasonable price. P.S. We’re probably going September or October 2016 if that helps. I skipped the Blue Lagoon and Myvatn Nature Baths, but I went to some of the public swimming pools. There are several good ones in the Reyjavík area and an amazing one in Akureyri which I highly recommend. It was very relaxing (sauna, multiple hot tubs, waterfall fountains, etc. ), very cheap, and was just about the only time I got to hang out with Icelanders. These tips are great! Iceland is my next destination so I’ll start making preparations. Thank you for these tips! Iceland looks incredibly beautiful. My pleasure Marcos! I’m glad they were helpful! It’s a gorgeous country – one that definitely needs to be seen in both winter and summer!